Think Lotus and you're likely to think about weight or the lack thereof. They are a study of aerodynamics and turning horsepower into motion in the most efficient way possible. 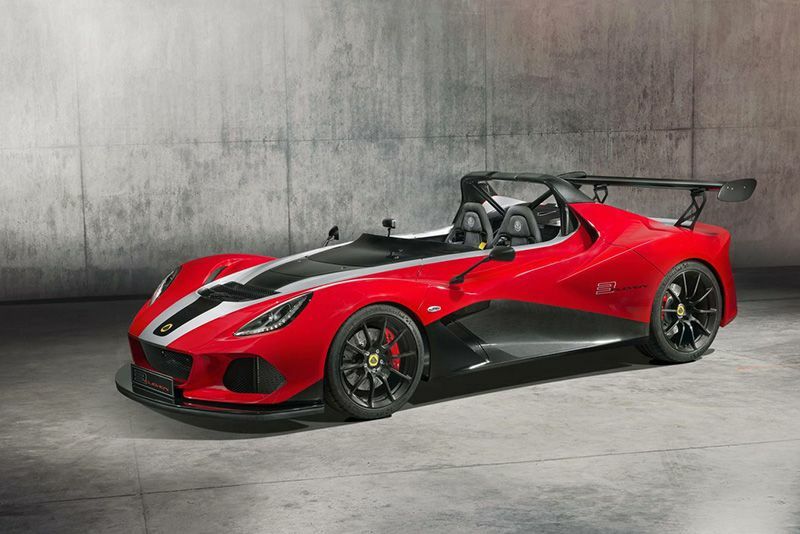 Which brings us to the newly announced Lotus 3-Eleven 430, an updated version of the awesome 3-Eleven. As sendoffs go, Lotus has pushed the envelope by creating the quickest road car the company has ever built. This will be the last iteration of the 3-Eleven, which was first introduced to us back in 2015, and only 20 will be built. In the 1950s, the first Lotus Eleven was built for racing, with the primary goal of annihilating much higher-powered vehicles of the time. The 2007 revival, named the 2-Eleven, was a track toy with the same objective, extremely lightweight and agile to once again show up the big boys, and repeat in 2015 with the 3-Eleven. Since Geely purchased Lotus, it's focus has shifted with the news of a possible SUV in the works, it seems like the right time for the 3-Eleven to go out with a bang. The 3-Eleven 430 has a six-speed manual transmission paired with their supercharged 3.5-litre V6 from the Evora 400, with tweaks to the engine to the tune of a claimed 430 horsepower and 325 lb-ft of torque. Not quite as powerful as the race version but certainly noticeably more than previous roadgoing versions. Lotus claims the a blisteringly quick 3.1 seconds for the 3-Eleven 430 to rocket from zero to 60 mph in 3.1 seconds and crack on to 180 mph. Weighing only 2 028 pounds, 11 pounds lighter than the standard road version, is thanks to the carbon composite bodywork, the aluminium structure, and extensive use of carbon fibre throughout the stripped-out cabin. To put this weight-saving into perspective, a Mazda MX-5 weighs, a comparatively chubby, 2 324 pounds. The rear wing is two inches higher with revised end plates, a reworked front splitter, a front lip spoiler, a flat underside, and rear diffuser. This all comes together to create a claimed 584 pounds of downforce at top speed for the 3-Eleven 430, that's around 94 pounds more than the standard Road model. Two-piece J-hook discs with AP Racing’s four-piston callipers at all four wheels provide first class stopping power. Combining Michelin Pilot Sport Cup 2 tires, 225/40R-18 up front and 275/35R-19 in the rear, plus a Torsen-type limited-slip differential, Öhlins DFV one-way adjustable dampers, Eibach adjustable front and rear anti-roll bars, and six-position variable traction control is a sure-fire recipe for cornering success, with maximum lateral grip of up to 1.5 g's. Not only is it bred for purpose but it looks the part too. Best you get hold of Lotus sooner rather than later if you want to get your hands on one, they're sure to get snapped up as quickly as they slay supercars. Video: The Lotus 3-eleven Just Beat The Porsche 918 Spyder's Lap Time!